I'm going to be honest; I pretty much figured when I bought this sofa with the intention of reupholstering it that it would stay red thatch for quite a while. Mostly because I have a lot of great big ideas, but sometimes the follow through is lacking. Color - be able to match apartment but also transition back to our house when I'm done. Texture of fabric - I like the look of basket weave, however the kitties really do too (scratch scratch). 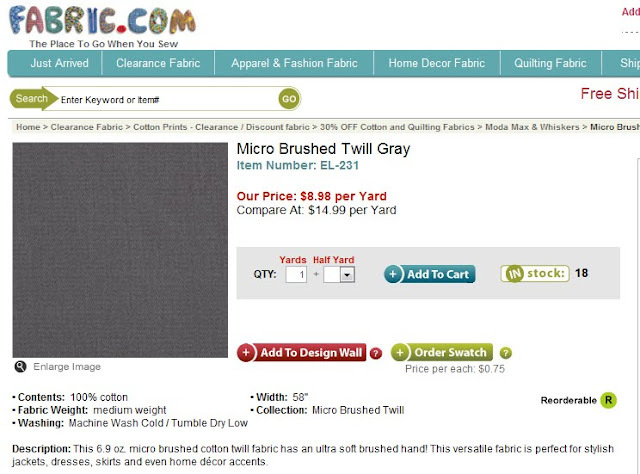 Price - upholstery fabric is expensive! And you'll need a lot. The tools I used and found to be the most helpful so far are a set of dykes, gloves, and a small flat head screwdriver. (Also Advil and your carbonated beverage of choice!) Now - GET BRAVE!! Grab an edge and pull and cry pry! One of the internet tutorials I read suggested starting at the back so that's what I did. Start by inserting your flat head screwdriver and try to pry yourself out an edge to start working on. It appeared that the sofa was made and upholstered in several different pieces and then put together. Good for construction and aesthetic, bad for Kari. Taking apart the sofa by myself was going to be tough so I decided to start removing the fabric in another area. This time, the front of the arm. I'll get some better pics of how I used the tools to remove the fabric since I'm noticing now I don't have any photos of those. But this photo series shows the importance of documenting how the sofa is constructed as you take it apart. You have to put it back together the same way! The construction of the arm is very important to recreate so I get the same finished look. When you finally get a full piece off make sure to save it label it - I used a sticky note and put where it came from and any specifics on how it was attached. You will use these as templates to cut new pieces out of your pretty fabric! About this time I took a break, bought a Mani-Pedi on Groupon for when I'm done, and went to get some emergency DP. Then Micheal-gyver got home and it was GAME ON! My final note for today is to make sure to take pictures of all the complex corners, again so you know what to do with that funky corner you cut out using the old fabric pieces as a template. If you husband asks you "what are you doing" when he gets home and you've got your arm elbow deep in the sofa...he's probably really just interested and not trying to annoy the crap out of you. So be nice. Dykes work better for pulling staples than needle nose pliers - thanks babe! Oh.my.goodness. So impressed and so excited to see how this turns out! Good luck! I am super stoked to see this "after" picture! Hi! Did you ever finish your sofa reupholster? I am debating tackling our beaten, sad looking Ikea sofa but I'm terrified! Hi Jaime and R! I got about 50% done with the sofa before I had to leave for internship. So right now it's half grey and half red! I'll try to put up a picture of where I'm at. It was definitely a difficult process for sure. I'm considering taking a local reupholstery class from my a fabric store in my area for some tips.